Red Shield Appeal, 24th-25th May, 2014 needs and deserves as much support as possible! The Salvation Army is holding its annual Red Shield Appeal Doorknock during the weekend of 24th-25th May, 2014. I took part in its Launch for Multicultural communities on Tuesday, 6th May, at Taaza Café, Leichhardt, NSW. This launch was organised by Sheba Nandkeolyar of Multiconnexions. 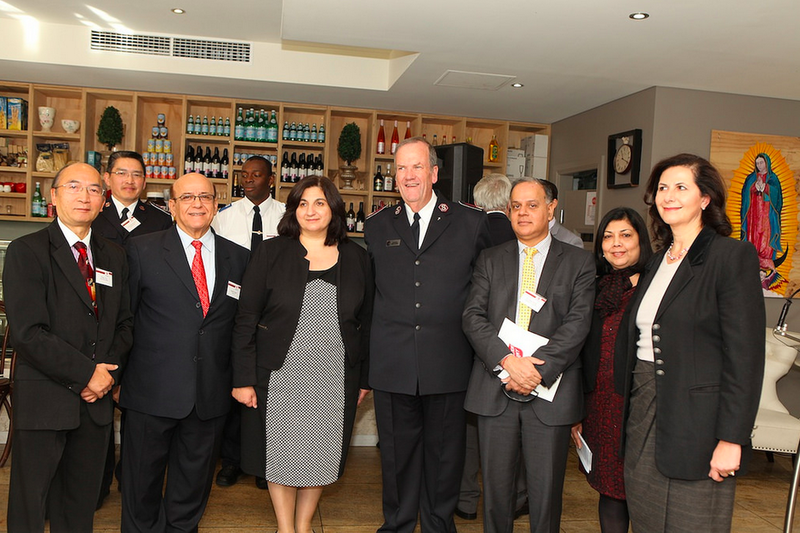 Among the key people present there were Senator Concetta Fierravanti-Wells, Parliamentary Secretary, Commonwealth Minister for social services, Hon Barbara Perry MP, Joseph Assaf AM, Leader of multicultural business community, Commissioner James Condon of Salvation Army, many multicultural community leaders and media. The Salvation Army has been around in Australia since 1880, after being started in UK in 1865. They have presence in 126 countries. Their target for fund-raising for this year Red Shield appeal is $80 millions, and annual doorknock appeal is a significant part of the fund-raising. Let us help them raise enough funds to be able to help the communities when in need! With so many communities in distress due to pressure of daily living and difficult financial circumstances, we are grateful that Salvos are there for those when help is needed. They can be contacted on 13 SALVOS and their website is http://www.salvos.org.au.